Lewyckyj, Dmytro [Дмитро Левицький] – active figure in community and cultural affairs; born on 3 November 1894 in Novoukrainka (Kirovohrad oblast, Ukraine; at that time – Kherson gubernia, Russian Empire); died on 15 June 1959 in London, England, United Kingdom; buried in Gunnersbury Cemetery, London. Lewyckyj attended secondary school in Kyiv, and then studied at the Faculty of History and Philology at Kyiv University, graduating in 1916. During the Ukrainian Revolution of 1917-1920 he served as a captain in the Army of the Ukrainian People’s Republic (UNR). After the westward retreat of the UNR Army in November 1920 he was interned by the Polish authorities, with the army’s 4th Division, in a camp at Aleksandrów Kujawski, Poland. From 1921 to 1939 he worked in various Ukrainian travelling theatre companies in Western Ukraine and also as a teacher in schools for Ukrainian migrants in the Vilnius Region of Lithuania. From 1939 he worked for the railway administration in Kraków, and in 1944 he moved to Vienna. In 1947 Lewyckyj moved to the United Kingdom and shortly afterwards settled in Rochdale, where he became a leading member of the local Ukrainian community. In 1949-50 he was head of the Rochdale branch of the Association of Ukrainians in Great Britain (AUGB). He also organised a local amateur drama group and, in 1952-53, gave lectures in Rochdale for students of the Distance Learning Institute (founded by the Ukrainian Free University). 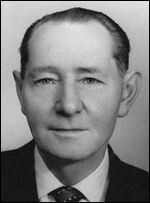 In March 1954 he was elected president of the AUGB, and in the same year moved to London to work at the AUGB Head Office. He remained AUGB president until his death. He was also head of the Ukrainian Committee in Great Britain (formed in 1956 by representatives of various Ukrainian organisations for the purpose of conducting joint lobbying and campaigning activities), deputy head of the Central Co-ordinating Committee of Ukrainian Organisations in Europe (now European Congress of Ukrainians), vice-president of the Anglo-Ukrainian Society (from 1957), and head of the financial oversight committee of the Nova Fortuna Co-operative Society.